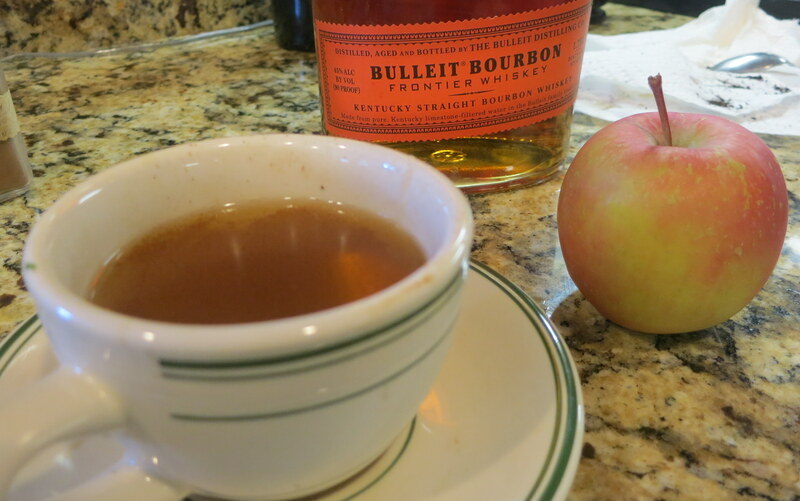 Jen and I typically make Hot Apple Cider for our traditional Thanksgiving Eve dinners using store-bought cider. This year, sadly, we didn’t host one but I decided to keep the traditions alive and cook many of the dishes we typically make for our friends for my family dinner. So Hank the Roasted Chicken is now sizzling in the oven. The Garlic Confit for the Purée of Garlic Potatoes is cooling in the fridge, and I’m getting ready to crisp up the shallots for the Brussels Sprouts. 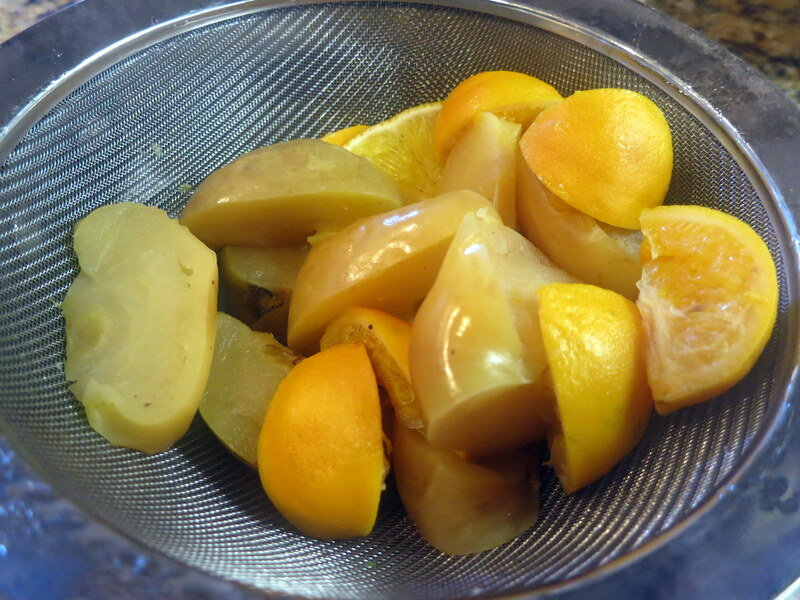 But before all this, I make some fresh apple cider, which was an appropriate substitute for my typical cooking companion — wine. Happy Thanksgiving everyone! 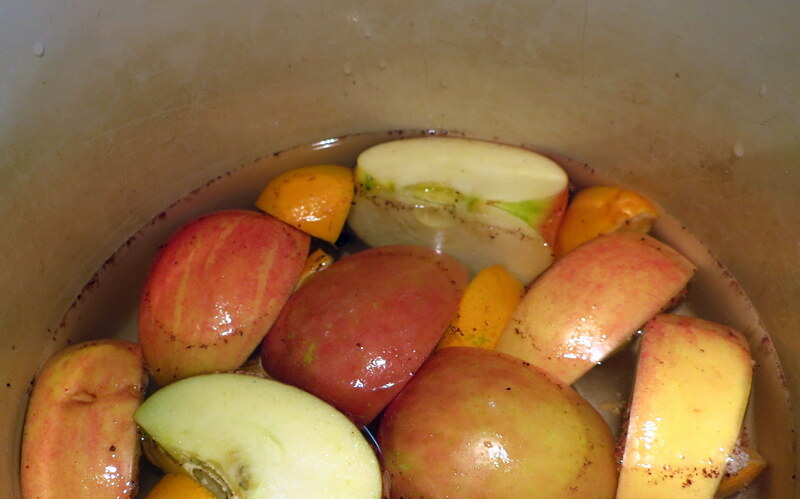 Take the quartered apples and cover with water in a pot. Add citrus, sugar, cinnamon (you can wrap cinnamon sticks in cheese cloth if you want to remove more easily later), all spice, cloves — basically any flavors that you might want to add. Boil for an hour, and then let simmer for 1-2 hours, depending on size of pot/amount of “stuff”. Either strain the liquid if you want less flavor/less pulp. Or (what I later did) mush everything up in the pot to get all those apple bits and flavors and only afterward strain to really maximize the flavor. 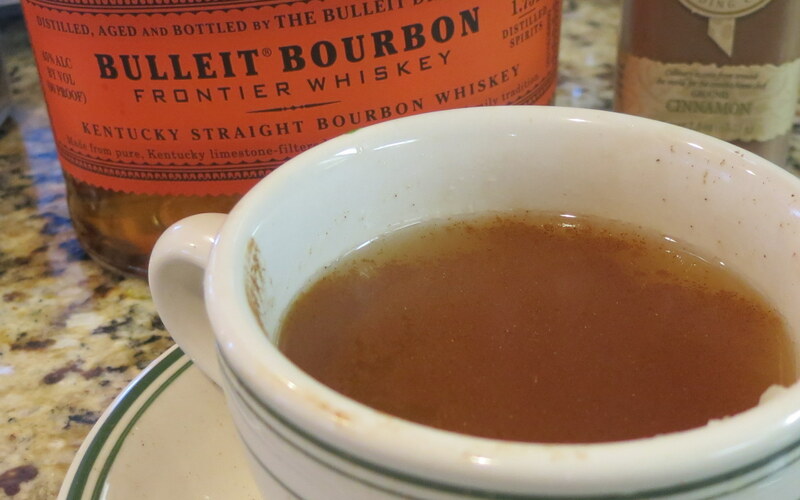 Enjoy with Bourbon, Whiskey, whipped cream, caramel, extra sugar or cinnamon — anyway you like it! This is a great way to stay warm in the holiday season.